PressTV – referring to the New Sanctions regime imposed by the US, as of 7 August 2018. PressTV: How do you see this? Peter Koenig: Thank you. First of all – this is just another flagrant violation of international law, even of US law, after having ratified the Nuclear Deal. Any interference in another country’s economic affairs, including in a country’s trade sovereignty, is in derogation of international law, That’s precisely what Trump under the leadership of those who command him is doing. For example, Netanyahu, is largely calling the shots in Washington. The idea is weakening Iran to the point – that a war would be easier. Although, I really do not believe that the US is daring to go to war with Iran. They know too well what’s at stake – with Russia and China firmly behind Iran. They may send Israel as a forerunner to attack Iran – and wait for Iran’s reaction. But even that, I believe will be a losing proposition. The empire knows it’s on a descending course. This is fearmongering and warmongering, which will allow the war industrial complex to increase its profits as a last-ditch effort. 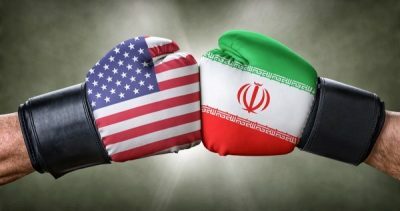 But Iran – in fact has nothing to fear if she plays her cards according to what she knows is best: Applying the principles of resistance economy, meaning foremost delinking from the dollar economy and becoming quickly food self-sufficient, with increased trading with the East, i.e. the Shanghai Cooperation Organization (SCO) countries. PressTV: What are Iranian options to counter this? PK: Well, as indicated before, Iran should gradually but ever so fast detach from the dollar economy. As a matter of fact, one of the sanctions prohibits Iran from dealing in dollars. All the better. Iran has other resources, or it must now look for other resources, like the Yuan and the Ruble – and other SCO currencies – and definitely do whatever is needed to hasten the pace towards full integration into the eastern economy. – And, realize her plan of creating her own crypto-currency, similar to Venezuela’s Petro, based on and backed by Iran’s immense reserves of hydrocarbon. Let’s not forget, and I have said this many times before – the future is in the East. Always remember what president Putin has come to tell The Ayatollah last November, namely that sanctions were the best thing that ever happened to Russia since the collapse of the Soviet Union – it forced Russia to rebuild their economy towards self-sufficiency, especially agriculture – where in the 90s everything was imported from the EU. Now Russia is fully food self-sufficient, actually Russia has become the world’s largest exporter of wheat – by far, for the last two years, and this year also promises to be a record year. Similarly, with renewing Russia’s industrial park. Russia today has a cutting-edge technology industry, and can compete everywhere in the world. Russia is immune to sanctions. Iran can do the same. Mr. Rouhani a few weeks ago said something to this effect, namely that the course of moving away from the west – meaning also the EU / Europe – and the Euro – may hurt at the beginning for a short while, but once that hurdle is overcome, they will be independent, gained new political and economic sovereignty. – And that’s the way to go. However, Iran has a strong Fifth Column which will not shy away from starting internal protests and upheavals, against the government. These are people trained by the US / CIA, NATO to do exactly that – bringing an internal conflict about – that the US and its vassals hope will eventually lead to Regime Change, forced from within. This, I believe is the biggest challenge, confronting and combatting the Iranian Fifth Column. His is the means the empire uses. Fifth Columnists were largely responsible for the Araba Spring and for what was eventually called the ‘civil war’ (sic) in Syria. PressTV: How will EU, Russia and China hold up to their side of the deal? PK: Surely Russia and China will stand up for Iran. They are true allies. I would not trust Brussels, i.e. the EU – not for an inch. They say now they will stand up to the Nuclear Deal, respect it. But when it comes down to it, they will abandon it all the same. I think their saying so now, is maybe just a ruse to incite Iran to trust them and to continue doing business with them. But you know, doing business with the EU, meaning with euro as trading currency, is the same as doing business in dollars. The euro is but a foster child of the US dollar, and therefore Iran would still be bound and linked to the US dollar hegemony. – And, worst, would continue being vulnerable to US sanctions. Peter Koenig is an economist and geopolitical analyst. He is also a water resources and environmental specialist. He worked for over 30 years with the World Bank and the World Health Organization around the world in the fields of environment and water. He lectures at universities in the US, Europe and South America. He writes regularly for Global Research; ICH; RT; Sputnik; PressTV; The 21st Century; TeleSUR; The Vineyard of The Saker Blog; and other internet sites. He is the author of Implosion – An Economic Thriller about War, Environmental Destruction and Corporate Greed – fiction based on facts and on 30 years of World Bank experience around the globe. He is also a co-author of The World Order and Revolution! – Essays from the Resistance.